I first read this years ago - maybe when it first came out. It's one that's stuck with me, and when I saw the Kindle version on sale, I snapped it up. All the characters are just a bit larger than life - the gentleman-thief, the actress, the sorcerer, the great detective, and so on - but not so much so that it disturbed the enjoyment of the story. They felt real - they lost their tempers, sniped at each other, and made mistakes. I think this probably the main reason why Death of the Necromancer stayed with me for so many years. Wells writes the city of Ile-Rien vividly enough that I could see the dark, foggy streets in my head. It had weight and depth - it felt real. 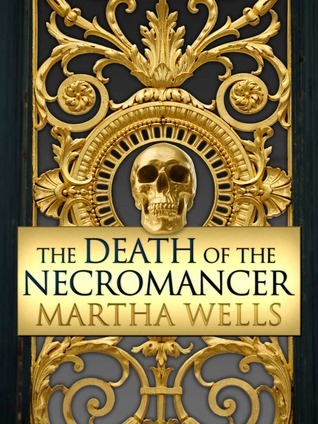 Sign into Goodreads to see if any of your friends have read The Death of the Necromancer.